We greatly promote team working, but we also accept lone wolfs. If you like cycling alone or if your friends are not as passionate about cycling as you are, you can also sign up! Are you up for the challenge? Apply here (CLICK), until Monday, the 5th of June 2017.
International studies show that 75% of a music festival`s carbon footprint is generated by the way people travel to the fest. In 2014 Electric Castle made the commitment to reduce its impact on the environment. Every year since then, together with MAINOI NGO, EC engages its participants into its ECO Program, which is meant to reduce the festival’s carbon footprint and educate audiences about fighting climate change. 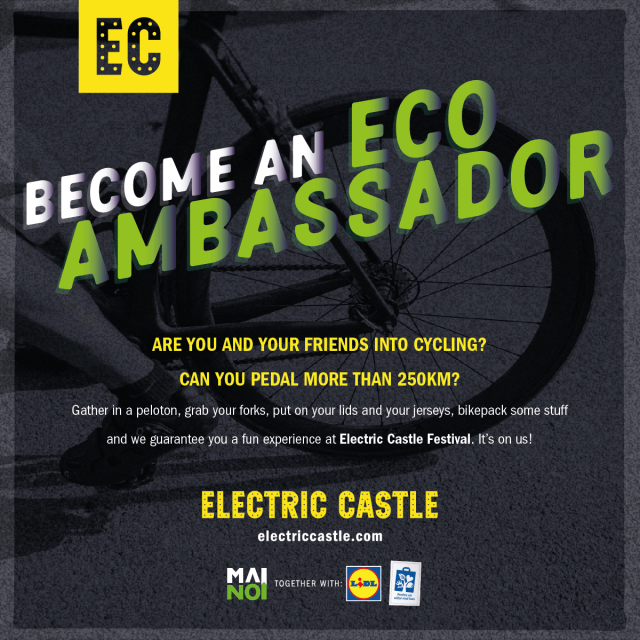 The ECO Ambassadors campaign is the part of the program which promotes alternative transportation and cycling tourism. We are now at the third edition of the project together with Lidl – ECO Legend for Electric Castle 2017. Are you the next one? Choose the eco path: travel on your bike and spread the word that the alternative travel is the way! More info: eco (at) electriccastle (dot) ro. 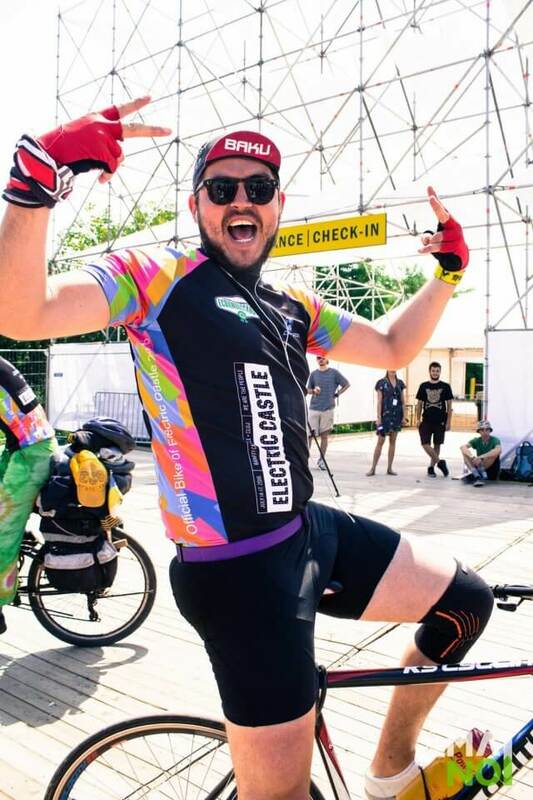 We are the ECO citizens of Electric Castle!